The Mendocino Coast Botanical Gardens is a public arboretum and garden on the North Highway in Fort Bragg. 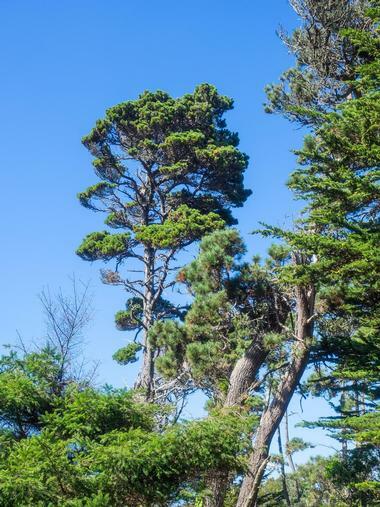 Established by nurseryman Ernest Schoefer in 1961 and now owned by the Mendocino Coast Recreation and Park District, the Mendocino Coast Botanical Gardens features a variety of plants and trees that thrive in the mild coastal climate of California, including award-winning gardens of Rhododendrons. The Gardens were opened to the public in 1966 and welcomes more than 75,000 visitors a year. Retired nurseryman Ernest Schoefer and his wife, Betty established the Gardens in 1961 with the aim of growing plants that thrived in the water-rich soils, foggy coastal air, and mild air temperatures of southern California. The Schoefers managed the botanical garden as a private enterprise for the following 16 years, after which the property was sold to a group of investors who leased the Gardens to The Mendocino Coast Botanical Gardens Preservation Corporation (MCBGPC), which continues to manage and operate the Botanical Gardens today. 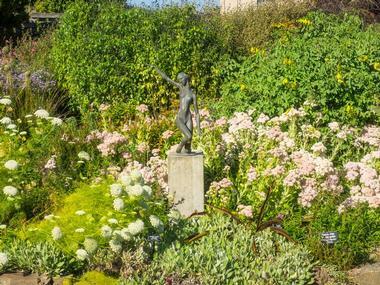 Other notable gardens include the Perennial Garden, which features flowers, bulbs, grasses, cactus and succulents that bloom from spring to fall, and an acclaimed collection of the camellias in the Heaths and Heathers Garden. 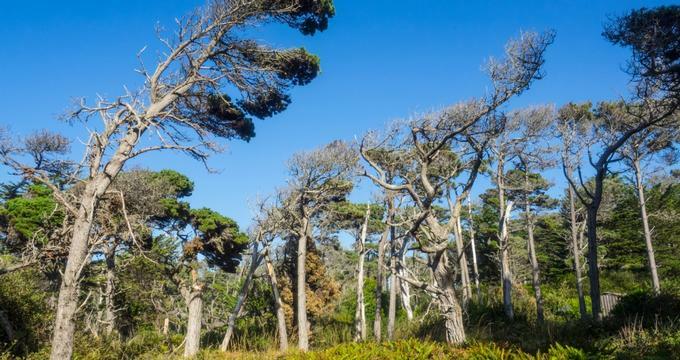 The natural areas of this garden also harbor six different rare and endangered plants and an unusual forest of pines. The Gardens are also a haven for birds, who flock there in the summer and include species such as swallows, sandpipers, hawks, ospreys, and Canada geese, among others. 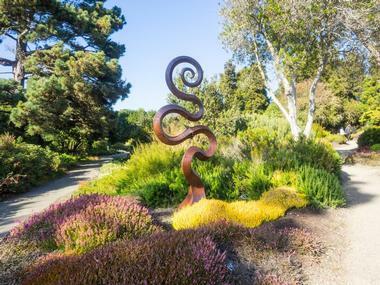 The Mendocino Coast Botanical Gardens acts as a living museum and research facility and offers a variety of horticulture-related educational programs for all ages, ranging from docent-led guided tours of the grounds and gardens to workshops, lectures, and exhibits throughout the year. There are workshops on a variety of diverse topics from mushroom identification to bird and whale watching walks, and an array of working demonstrations involving gardening for food. The Gardens also offer a three-month Master Gardener program for those who want to take education to a higher level. A range of exciting events are held at the Gardens year-round, ranging from plant sales and art exhibits to guided walks and educational workshops on a variety of subjects. Notable events include the Annual Rhododendron Show, Natural History and Collections Walks, Vegetable Garden Series, Plant Propagation Workshops, and Pollinator Week, among others. The Mendocino Coast Botanical Gardens are situated at 18220 North Highway 1 in Fort Bragg on the Northern Californian coast and are open to the public every day of the year, except certain holidays. Operating hours are 9:00 am to 5:00 pm between March and October and 9:00 am to 4:00 pm between November and February. The Gardens are wheelchair accessible, and lunch can be purchased at Rhody's Garden Cafe, which is open seasonally and can be enjoyed as a picnic in the gardens. For those who prefer a sit-down meal, the cafe serves a delicious menu of farm-to-table fare prepared with ingredients from the Garden's vegetable patch, including homemade soups, organic salads, sandwiches and freshly baked bread. Visitors can dine on the Plaza with beautiful views over the Perennial Garden or in the Cliff House. The Mendocino Coast Botanical Gardens Library is housed in the grounds of the Gardens and collects a vast range of materials related to the major plant collections grown in the Garden and similar climates around the world. The library is also home to a collection of books, journals, magazines, and other documents on subjects such as botany, horticulture, gardens and gardening, landscaping, flower arrangement, ethnobotany, insects, plant pests and diseases, plant lore, and nature crafts.